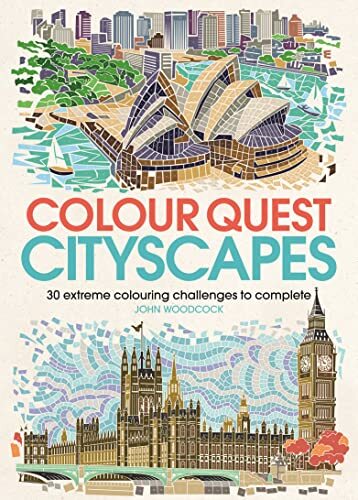 Colour Quest Cityscapes takes colour-by-number books to sky-scraping new heights, with 30 incredible skylines and buildings waiting to be revealed. From iconic landmarks such as the Chrysler building in New York, to hidden gems like the stunning Hallgrimskirkja cathedral in Reykjavik, use colouring pens or pencils to colour the numbered shapes and uncover stunning and intricate artwork hidden on the page. Travel the world exploring the most striking, bold and exotic architecture the world has to offer with 30 single-sided designs to complete.